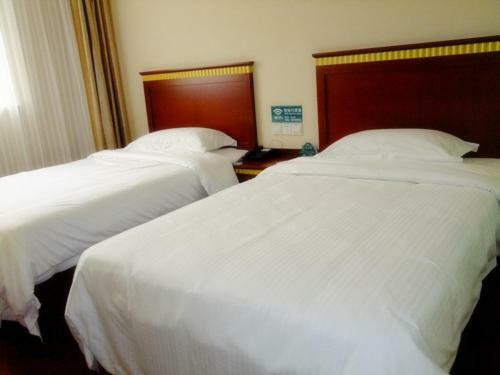 Отель GreenTree Inn GuangDong ShenZhen BaoAn XiXIang PingZhou Metro Station Business Hotel находится в городе Bao'an. GreenTree Inn GuangDong ShenZhen BaoAn XiXIang PingZhou Metro Station Business Hotel is located in Bao'an, 26 km from Mission Hills MH Mall. The rooms are equipped with a TV with cable channels. You will find a kettle in the room.